Immanuel Kant once said, “Experience without theory is blind, but theory without experience is mere intellectual play.” In line with this idea is the approach of UP Manila’s Political Science Practicum Program which emphasizes a balance between theory and practice. 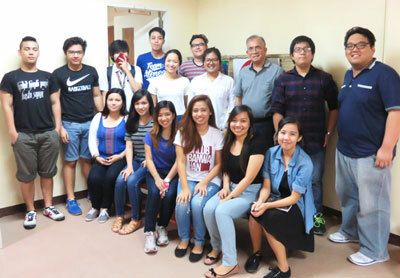 The Volunteers Integration Program Batch 2016 from the University of the Philippines Manila, with Practicum Adviser Prof. Bobby Tuazon (back row third from right). CenPEG photo. As a partner institution of the said program, the Center for People Empowerment in Governance (CenPEG) coordinates and designs its projects and activities to raise the students’ ability to test theories as well as their level of awareness and involvement in governance matters, especially with concerns relating to empowering people at the grassroots through research, policy study, advocacy, legislative and other interventions. 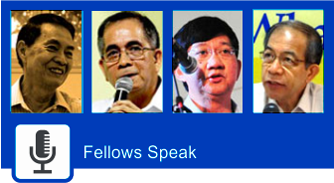 For its 2016 Practicum Program, CenPEG supervised 15 students to primarily carry out research regarding the people’s reform agenda in three main areas – agrarian reform and labor (Comprehensive Agrarian Reform Program versus Genuine Agrarian Reform Bill); social welfare and community services (An Analysis of the Plight of the Urban Poor and Policy Recommendations); as well as electoral reform (Debunking Political Myths Propagated about the Automated Election System) – under the new Duterte administration. The general methodology in the program was not just limited to desk and/or library research, but CenPEG also collaborated with sectoral and advocacy groups as well as with corresponding government departments including Anakpawis, Kilusang Magbubukid ng Pilipinas, Department of Agrarian Reform under Sec. Rafael Mariano, Kadamay, Department of Social Welfare and Development under Secretary Taguiwalo and the broad election watchdog, AES Watch, to facilitate the students’ fieldwork or immersion in selected communities for interviews, consultations, focus group or roundtable discussions. Focus group discussion with mothers residing in Camarin, Caloocan City regarding the DSWD’s 4Ps program. Photo by Matthew Richard. 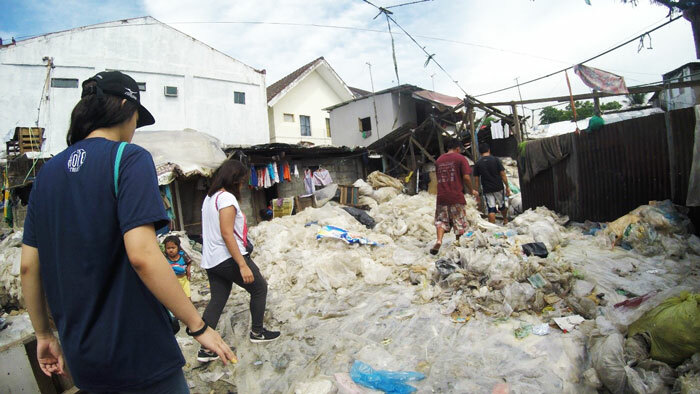 Students went to various communities in Camarin, Payatas, San Roque and Montalban to take a first-hand look at the conditions of people living and working in the said areas. With the assistance of partner organizations, they were also accommodated by foster families over a weekend to help them be acquainted with the problems these communities continuously face that necessitate government action. Aside from the immersions, the students also joined different national events as participant observers as well as to conduct interviews with department heads, sectoral leaders, academics and ordinary citizens. These included the National People’s Summit; ASCENT’s Development and Humanitarian Workers Forum; Inauguration Rally for President Duterte; and CenPEG’s State of the Presidency roundtable discussion. In addition, the students wrote daily journals during their practicum experience with CenPEG as well as reflection papers on specific events they have attended while doing their research. Students visit a Payatas community with KADAMAY members to conduct interviews. Photo by Matthew Richard. 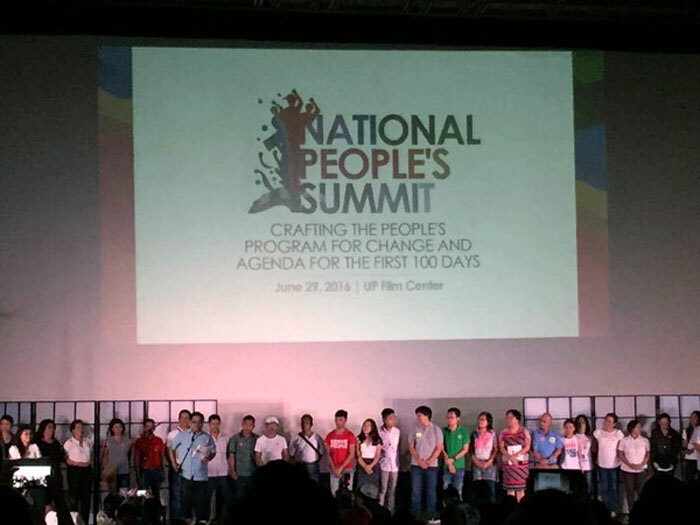 Social Work Secretary Judy Taguiwalo and Agrarian Reform Secretary Rafael Mariano receiving the People’s Agenda for Change during the National People’s Summit. CenPEG photo. Leaders of the ASCENT Network calling for the Duterte administration to stop the attacks on humanitarian and development workers by state security forces and paramilitary groups. CenPEG photo. 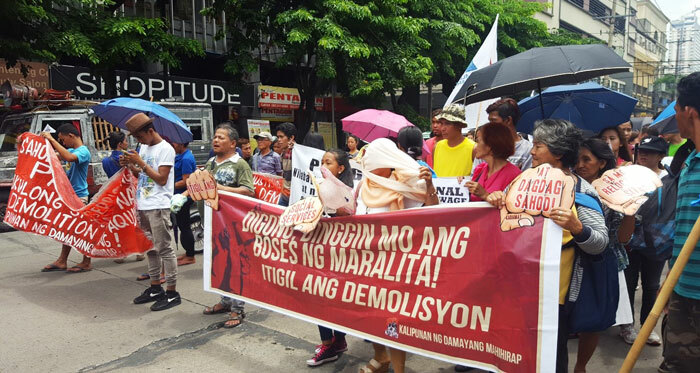 Leftist groups rally in support of Rodrigo Duterte’s prop-people agenda during his inauguration as President June 31, 2016. CenPEG photo. 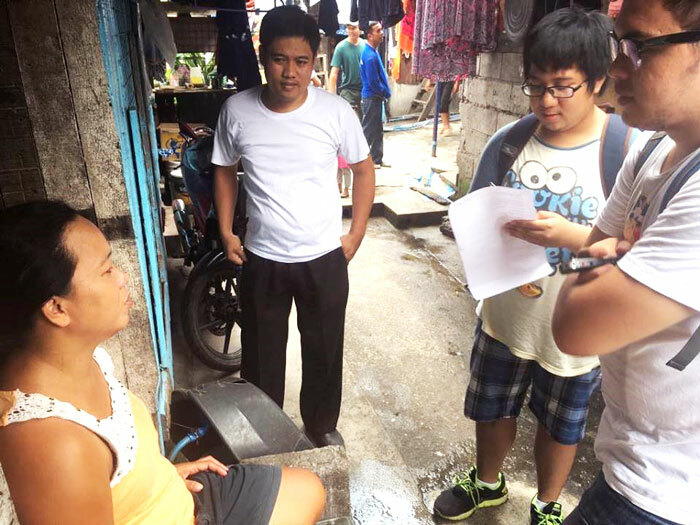 Conducting surveys in a community in San Roque. Photo by Genry Consul. 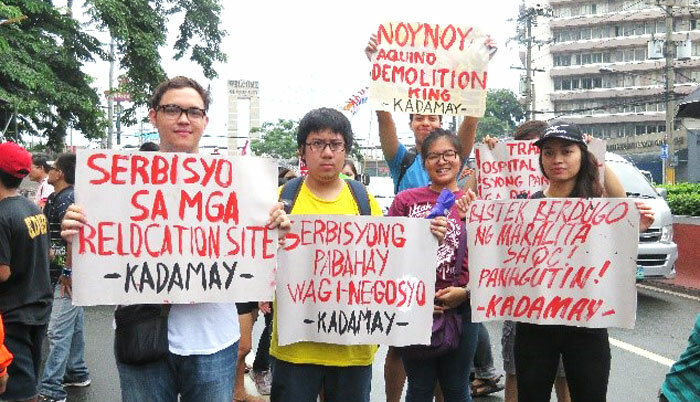 Students joining the inauguration rally for President-elect Duterte. CenPEG photo. 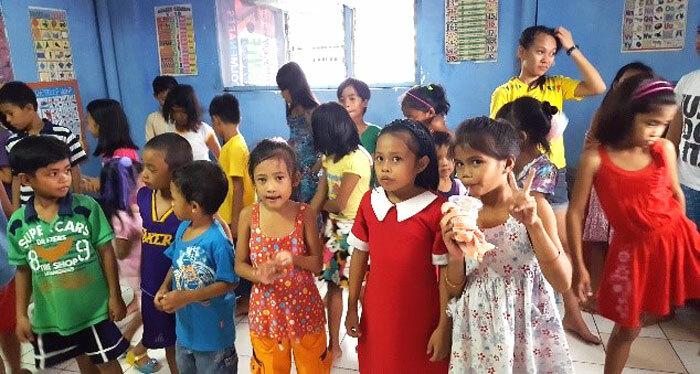 Children presenting a day care cultural program in Montalban. Photo by Genry Consul. Community immersion in Montalban. CenPEG photo.